The Voluntary Health Insurance Scheme (VHIS) has officially launched on April 1, 2019 in Hong Kong. From today, consumers may choose to purchase Certified Plans as offered by the participating insurance companies. The scheme is a policy initiative implemented by the Food and Health Bureau to regulate indemnity hospital insurance plans offered to individuals, with voluntary participation by insurance companies and consumers. To alleviate the strain on the public healthcare system especially during peak periods such as winter surge, Certified Plans under the VHIS have a number of standard features for increasing consumers’ confidence in purchasing hospital insurance, thereby facilitating their use of private healthcare services when necessary. 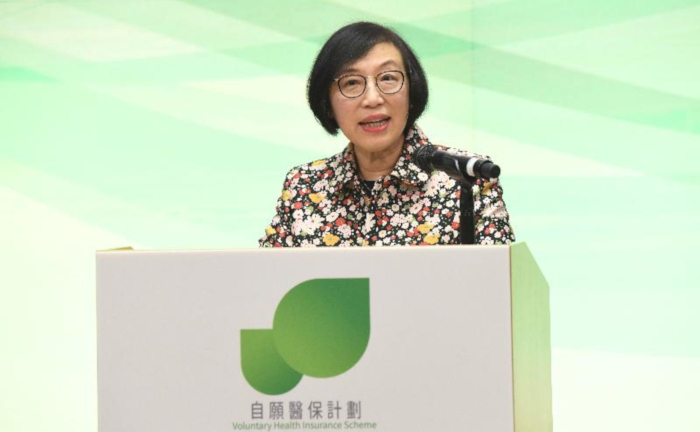 At the launch ceremony of the VHIS last week, the Secretary for Food and Health, Professor Sophia Chan, said that the VHIS will provide individual indemnity hospital insurance. To tie in with the publicity slogan “Choose with Confidence”, all Certified Plans under the VHIS must meet the benefit standard prescribed by the scheme, including standardised policy terms and conditions, benefit coverage and benefit amounts. Transparency on the premiums of Certified Plans. The premium schedules are accessible on the VHIS website. According to an official statement by the VHIS, the VHIS Office will continue work on the registration of participating insurers, vetting of individual indemnity hospital insurance plans for certification of compliance status, enforcement of scheme regulations, etc. Currently, there are 36 companies registered on the list of VHIS Providers on the VHIS website.